This is an organic document reliant on organisers keeping us abreast of events and changes to the calendar on an ongoing basis. Submissions for new events or corrections to events we have listed can be made here. 2019 Events - confirmed and provisional (i.e. some of the entries have simply been repeated from 2018 and included with just a month instead of an accurate date. Please use for guidance only unless specific dates have been given). Submissions for new events can be made here. JANUARY 19th/20th Godendag, Firestorm Games, Cardiff. DBM, FoGAM, FoGR, ADLG Doubles, MeG Doubles. A BHGS-affiliated event. JANUARY 26/27th Brighton et Glorium, MeG event Brighton. MARCH 9th A (Cam)bridge too far - Bolt Action event in Cambridge. MAY 31st-JUNE 2nd UK Games Expo, Birmingham - show and events - now also includes the BHGS Challenge (BHGS Event) FOG(R/AM), MeG, DBMM,ADLG. 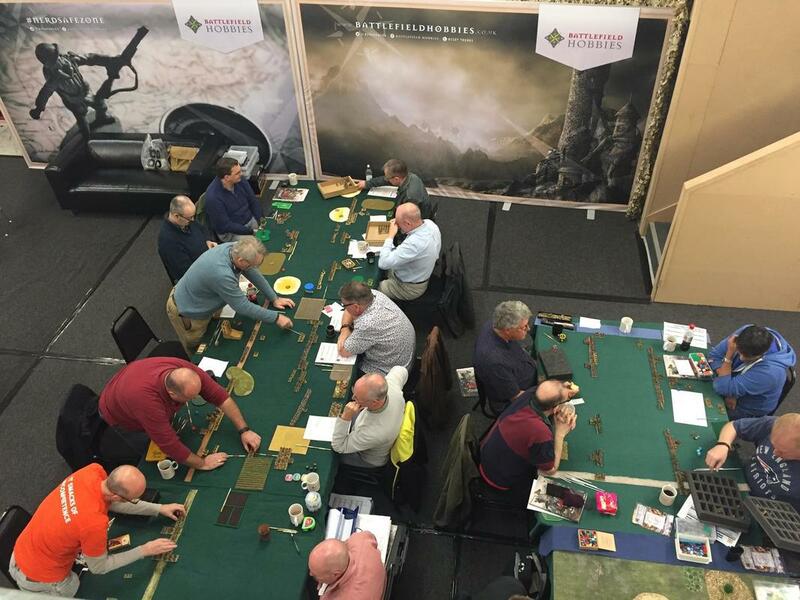 OCTOBER The Ribble Rumble, MeG, Bolt Action, Others NWGC Stockport (Element Games). OCTOBER 27th English DBA Open. Details on Fanaticus forum or on the Portsmouth & Allied Wargames Society's website.